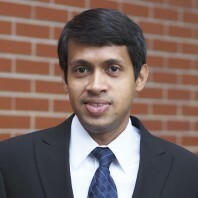 Indranil Chowdhury is an Assistant Professor in Civil and Environmental Engineering at WSU Pullman. He has and BS in Civil Engineering and a PhD in Chemical and Environmental Engineering from University of California, Riverside. His research interests include environmental applications and implications of nanotechnology in the context of water infrastructure, food-energy-water nexus, and climate change.